Sage 100 (MAS 90) Partner Serving Albuquerque and the Southwestern U.S.
Our team of highly skilled and tenured professional consultants have more than 40 years of combined experience delivering industry solutions for non-profit organizations, government agencies, and privately held businesses. Offering a full array of Business Software Solutions from Sage, the industry leader in business management software, our Sage-authorized specialists are here to help you implement the software company-wide, train your staff to use it effectively and provide ongoing support. 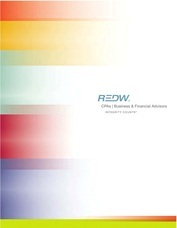 REDW serves all 50 states from office locations in Albuquerque, NM and Phoenix, AZ.